We all love the cookie table as a local wedding tradition, and this event pays homage to that mouthwatering custom with a colossal display of cookies! It is truly “cookie heaven” – so many delicious samples and wonderful aromas! A delicious “Youngstown-style” buffet dinner is included in the ticket price, and after dinner, the legendary Del Sinchak and his band will play classic polkas for your dancing pleasure. The star of the show, however, is the massive cookie table . 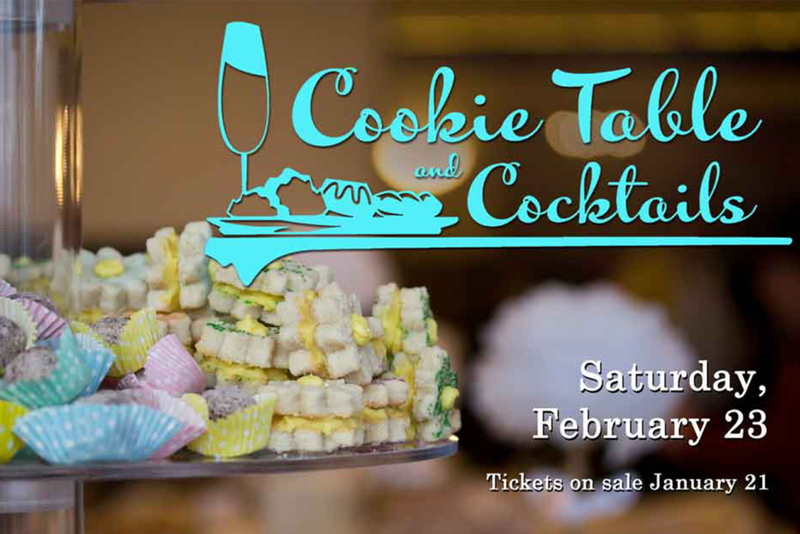 Imagine if you will over 8,000 handmade delicacies – cream filled clothespin cookies, caramel cups, pizzelles, snowballs, and much more – on a magnificent display that is the highlight of the evening. Call the Mahoning Valley Historical Society at 330-743-2589 for reservations.